Using inert or lightly fertilised growth media is recommended during propagation, helping to encourage root growth without overbearing young plants. 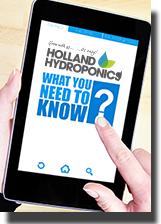 For hydroponic systems, coco coir, rockwool or coco jiffys are the preferred choice. If using a soil based system, root riots, peat jiffys or a lightly fertilised soil such as BioBizz Light-Mix. The Cultilene stonewool tray is the ideal propagation aid perfect for cutting and germination. 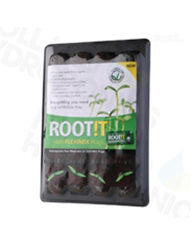 Rockwool is the ideal medium to root out clones and germinate seeds which can then be transplanted directly into the final growth medium, available as single cubes or in ready to use trays. Root Riot fibre starter cubes are made from composted organic materials. Suitable for both cuttings and seeds, the cubes have a spongy texture which retains the perfect air to water ratio - available in starter trays or refils. Refills for the Fleximix Rootit Tray. Root It plugs complete with tray.